Savage the protagonist of the game needs to find his love one named Eve, when they play Hide and Seek. He will face many challenges to find eve and he needs your help to overcome the challenges. Wrath of Savage is an interaction game.You need to tap the things you needed to make actions so that you can pass the current stage. The difficulty of this game is easy because there are no time or tap limit. There is only one sequence and if you interact the things that you shouldn't interact, there are no penalties in the game. 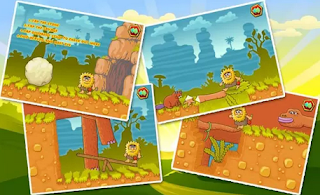 Most interaction games are geared toward for children, but this game has a content that is not child friendly such as blood, animal parts and etc. This game is somewhat geared for adults because of it's dark humor and violence. Since it is geared towards to adults, it should be a difficult game. 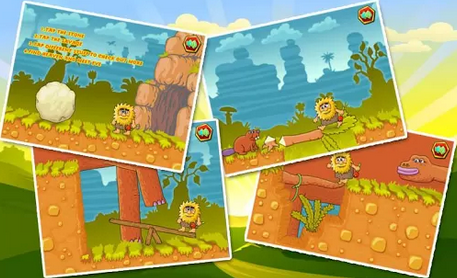 Wrath of Savage is a easy game but it was a fun game for a free android game. Based on the reviews in Google Play Store, user's wants more stages or stories and other want to increase it's difficulty.